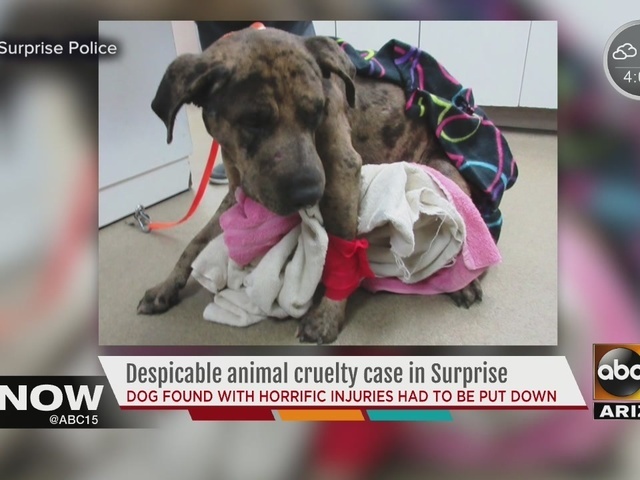 Police are looking for information regarding a severely injured dog that was found in Surprise. 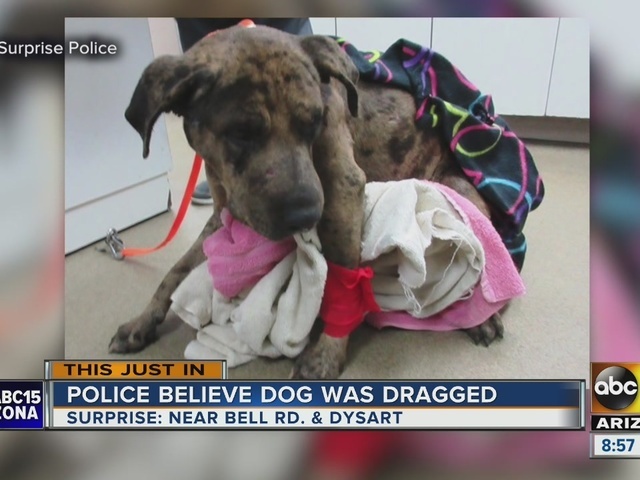 According to officials, the Pit Bull/Chinese Sharpei mix dog was found near Dysart Road and Grand Avenue on Thursday with a long white rope tied around his neck. He was covered in blood, dirt and asphalt, and had open wounds to his head, body and legs. Police say his injuries appear to be consistent with being dragged at a high rate of speed behind a vehicle. The dog had to be euthanized on Friday due to the severity of his injuries. If you have any information, please contact police at 623-222-4000. Tips can also be emailed to crimetips@surpriseaz.gov. Please reference incident number 161200061.